When you’ve heard the term “moves management,” have you glossed right over it, dismissing it as something for large organizations to worry about? If so, it is quite understandable, since the information on this subject is usually written from the context of a large organization or university with a huge development staff. But small and mid-size organizations need to work on making this a part of their every day activities. Segmenting your donors simply means placing your donors in logical, manageable groups and tagging them in your database as a member of that group in order to appropriately communicate with them and measure responses. This is undoubtedly a lot of work. It falls into the “non-urgent but highly important” quadrant of time management. How do you justify carving out the time to make this happen when so many ‘urgent’ things demand your attention? During the planning phase for your annual campaign, don’t forget to take some time to consider how to incorporate your major donors in your year-end campaign. First, have you defined a major gift for your organization? For many smaller nonprofits major gifts are in the $500 – $1,000 range. Decide what makes sense for your organization and how many you can manage. But don’t forget to look at cumulative giving over the entire year. For example, your monthly donor who gives $100 a month is just as valuable (or more so) as someone who made a one time gift of $1,200. These are arguably your most important donors and need a higher level more personalized form of communication and solicitation. They need to know that your organization knows who they are, and considers them valued partners. Pull their names into a separate mailing list (excel spreadsheet). Print their letters in house asking them to repeat the amount of their last gift. Have the ED, Board members or program staff write a handwritten note on their letter thanking them for their partnership with the organization. Mail with a first class stamp. When a major donor responds with a gift of any size, notify the person who wrote the personalized note and have that person call the donor immediately to thank them for the gift. If you can take it up a notch for these folks, by all means, do it. It is an unfortunate fact that many nonprofits, in the midst of juggling special events, board meetings, grant applications, barely manage to get that pesky end-of-year fundraising letter in the mail. When they do, they call their individual fundraising done until next year, check it off the list, and move on to the next pressing task. Even large organizations or nonprofits with dedicated development staff make the crucial error of labeling their annual appeal or membership renewal mailing their “annual campaign,” choosing instead to focus on special events and grant seeking as their primary fundraising program. One appeal is not an annual giving program. Clearly, this is a lot of work. It is a lot of time and a lot of money. It may also be a huge challenge to learn how exactly to implement these tasks. For instance, how do you go about upgrading your donors? What does that even look like? losing donors because you aren’t paying enough attention to them. missing larger gifts simply because you haven’t asked them to give at that level. causing yourself stress trying to remember when your appeal letter or newsletter is due. unaware that right now in your database are several small-gift, long-term donors who would be willing and able to make a major gift this year with some simple extra attention. spending unnecessary money on your mailings. Yikes! So then, what to do? Start small. Pick one or two things to incorporate that will improve your individual fundraising program. For example, if you already have your year-end appeal out the door (Good for you! It is an election year, after all), you could test a follow-up mailing to your best non-responding donors. Or you could try and test your first email-appeal/ integrated campaign. 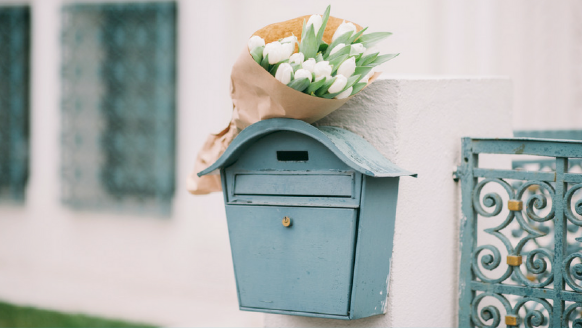 If you already do a periodic newsletter, perhaps you could try an electronic version, coordinate strategically with your other annual giving activities, or incorporate a ‘thank you’ activity as a part of its distribution. You could establish a solid plan (tasks, budget, deadlines) for the upcoming quarter. Over the coming months at Smart Annual Giving, we’ll be delving beyond the “what” tasks you should do, into “how” to actually make them happen and get it rolling. There is obviously more than one way to tackle your annual giving activities. What makes sense for one organization may not always work for another. Hopefully, you can at the very least get started exploring and experimenting to find what works best for you.